Limited land is always become a major issue when will build a house. 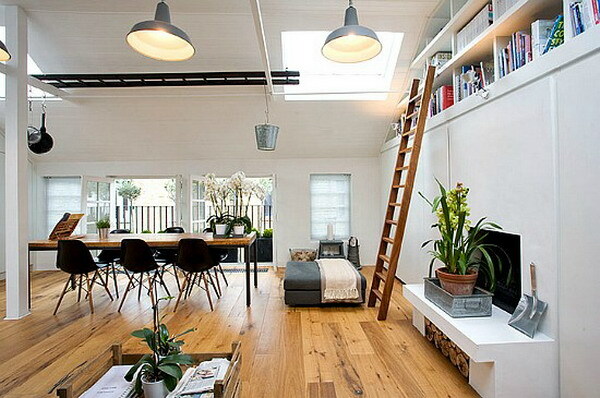 No doubt, many ways done to get comfortable and functional residence. One of them is by using furniture as a room divider. Room divider serves to limit or a separate one room into two spaces with different functions. Room Divider so important in the home. Therefore, through such elements, the affirmation and function of space can be achieved, in addition to the use of furniture, of course. room divider so important so it should not be forgotten in its design, among others, should pay attention to the aesthetics, efficiency, comfort, and needs. Interestingly, the room divider is not just a solid wall. Many elements can be applied as a divider, including when you want to use the furniture as a room divider. Room divider which also serve as storage display rack can save space. Various advantages can be gained when you apply it. it can make budget minimize. That is, the cost of which is supposed to make the walls could be eliminated. Another advantage, which can maximize dimensional space, with note that if the furniture is made movable. Moreover, the presence of room divider functioned as divider, you automatically make efficiency. Either it form cabinets or just a simple divider in a more practical form. The advantage, in addition you can be free to be creative with the shape, materials, and finishing, functionality can be customized to your needs like other objects “custom”. While for disadvantage, for certain model (if considerations eliminate the solid wall as a divider just because of budget), usually costs needed to make divider furniture can be much more expensive than just a brick wall. In arranging furniture as a divider, there are several considerations that need your attention. Convenience as example. Convenience can be created if you can optimize room divider to be appropriate and as needed. In addition, of course room divider arrangement should also refer to the design theme to determine the shape of the furniture. Another consideration that is important is determine the type of divider, to be function as what? Would it easily moveable wall or as wall replacement? Also, Determine the dimensions such as how high, is it as high as ceiling or below ceiling? Once all these things are determined, then you can choose the form of furniture that you want to be divider. Regarding the determination of the character of furniture,of course closely related to the theme of the design and function of the divider. Because the furniture is part of the interior, then it must make a harmony with the other elements in the room.